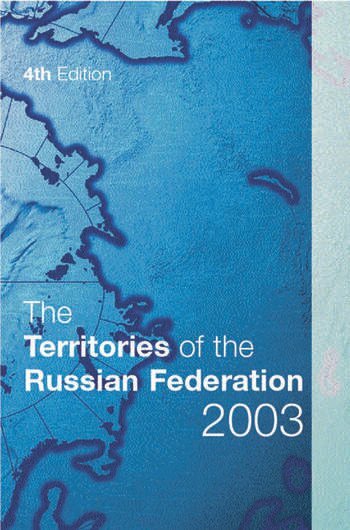 An insight into the often-neglected regional dimension of the politics and economy of the Russian Federation. This survey includes individual territory surveys, and provides geographical, historical, economic and directory data as well as some 100 current maps. * Details of the Government of the Russian Federation. * A directory of names and addresses of the leading political and administrative officials. * Territories indexed alphabetically, and by both Federal District and Economic Area.